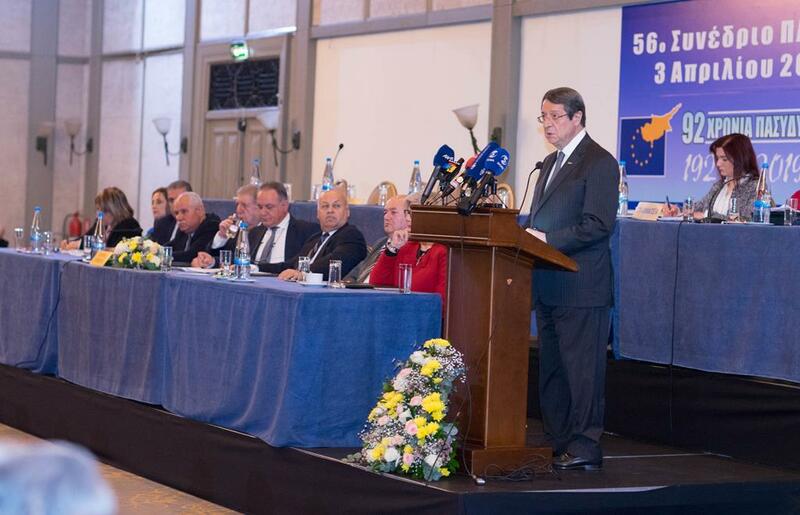 The President of the Republic of Cyprus was present to the conference of the Pancyprian Federation of Labor and he did not fail to once again point out his positions on the Cyprus issue and more specifically on the issue of positive vote. Nicos Anastasiades, after his interviews with RIK and the Cyprus News Agency, appeared more aggressive in what is heard by the international factor on the Cyprus issue. He specifically referred to a conversation with Boris Johnson when the latter was Foreign Minister and the issue of equal treatment had been discussed. “In a meeting with Britain’s British Foreign Minister at the time, Boris Johnson, in March 2017, he told me “why you oppose the equal treatment of Turkish and Greek nationals?” I replied “for exactly the same reason that you managed to convince the English to leave the EU with the main argument that if Turkey became a member of the EU, England would be flooded by Turkish nationals. You are a population of 60 million and you erre worried, we are only 800 thousand, and I wonder if you would accept a similar status”, the Cypriot President said on that meeting. The Cypriot President did not miss the opportunity to respond to the internal Cypriot opposition by saying that he does not understand what they are asking him to accept on the issue of positive vote. “That for every decision which will be taken by the central state, I must have a positive vote of the Turkish Cypriots in order to have political equality, as they call it. And will this be political equality or political inequality?” he wondered. He also mentioned that in no other constitution of another country, either of the UN or the EU or any other constitutional state, a community or a state has the right to decide the fate of the rest of the country, something which he described as the undermining of political equality and creation of the political inequality. “We do not deny political equality, what we deny is numerical equality. What we are denying is not effective participation, it is the participation for every voting decision. I have also clearly told the Secretary General and Mr Akinci that I accept the positive vote to be exercised in the occasion that the majority abuses its rights and may wish to impose itself through decisions that would have negative effects on the Turkish Cypriot state or community. In this case, they may have the right to use the positive vote as a shield”, he said. The President of the Republic of Cyprus from the step of the Pancyprian Federation of Labor referred to the next day of the Cyprus issue, saying that he made all his best to find a functional and viable solution that is compatible with the status of the country as an EU member state, a solution allowing this state to be sovereign and independent for its Cypriot citizens, Greek Cypriots and Turkish Cypriots. “My cooperation with Mrs. Lute, which will be in Cyprus at the weekend, is also part of this framework. We make an effort to record some terms of reference that will allow us to repeat the dialogue, but this time with prospects. And in order to have prospects, there is also a need for political will on the part of Turkey”, he said.